We are recognized as one of the leading manufacturers and suppliers of superior quality range of Non Woven Bags. These bags are designed by skilled professionals using high quality fibers and modern technology. 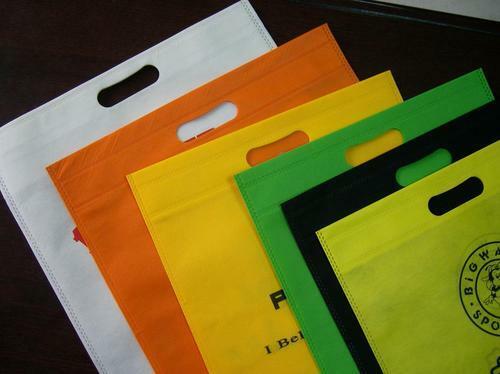 The offered bags are available in various colors & designs and can be customized as per client’s specific requirements. We are offering these bags at market leading prices.The offered bags are highly availed in the market for their excellent features like dehumidifying nature, longer usage life, resistance against liquid and attractive looks. Further, owing to their high load bearing capacity, these non woven shopping bags are apt for using in shopping purposes. We offer these bags in different sizes and shapes at industry leading prices. Established in the year 2012 in Rajkot (Gujarat, India), we “Enox Non Woven Pvt.Ltd.” are recognized as the noteworthy manufacturer, exporter and supplier of a broad assortment of Spun Bonded Non Woven Fabrics. The offered fabrics are generally used to make all disposable bags and garments. Spun from the best in class fibers, these fabrics are known for their smooth texture, light-weight, colorfastness, fade resistance, optimum softness and smooth finish. Apart from this, we also provide Non Woven Fabric Bag, D Cut Bag and U Cut Bag. These products are manufactured using high quality fibers and advanced technology in conformity with international quality standards. These products are highly appreciated in the market for their features such as tear resistance, water proof, excellent strength, attractive colors, easy to carry, durable prints and Eco-friendliness. In addition to this, the offered range of products is available in different sizes, designs and colors as per the needs of the clients.